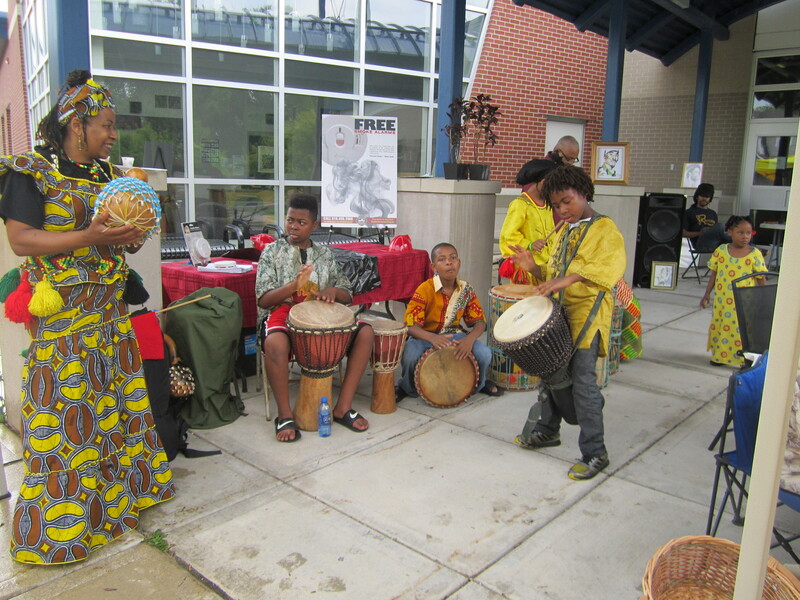 West Michigan Jewels of Africa Traditional African Dance and Drum Troop wowed the crowd at the market’s 2014 Summer Celebration. The Southeast Area Farmers’ Market hosts its Summer Celebration Saturday June 27 during market hours, 11 a.m. to 3 p.m. at Gerald R Ford Academic Center, 851 Madison SE.. Special activities include live music, cooking demos featuring “Easy Salad Dressings,” a noon performance by the West Michigan Jewels of Africa Traditional African Dance and Drum Troop and live music by guitarist, Eddie Killowatts. Though the market might look small, its vendors offer a nice the variety of locally grown produce and craft items. Come July, when the growing season is well underway, vendors will have much more fresh local produce for sale. The Southeast Area Farmers’ Market is sponsored by Kent County Health Department, Greater Grand Rapids Food Systems Council & Our Kitchen Table, market managers.